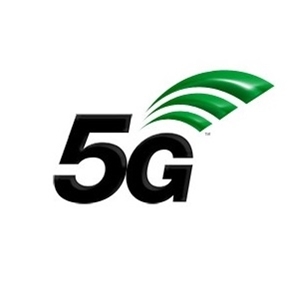 By now we’ve all heard about it, and those of us who live a large part of our lives online are beginning to get increasingly excited as the reality of 5G draws nearer. Speculation about the various facets of life which 5G will revolutionize runs rampant - from enabling the internet of things where everything is connected to allowing doctors to perform remote surgery to creating internet ‘classes’ in society, to allowing breakthroughs in virtual reality which will open up entire virtual worlds. Whether or not these things come to pass remains to be seen, but one thing that’s for sure is that having an internet connection which is approximately x100 faster than 4G (the fastest current speed) is going to change things in the eSports industry. Game Freezes - Temporary ‘glitches’ in the otherwise smooth digital world can ruin the experience of the game and cause you to lose points or lose the game altogether. Drop Outs - No, we’re not referring to the gamers themselves, but rather the annoyance of ‘dropping out’ when a connection can’t handle the game in question. This can even lead to being logged out mid-game, which is a deeply aggravating scenario, especially if you’re winning. In Game Losses - With the above two come the in-game consequences such as the loss of perfect kill records, losing races, and all sorts of other consequences. You could be lining up the perfect kill shot in CS:GO, and when your connection is re-established, you’re dead. Slow connections don’t just impact gamers, but also the various growing industries supported by eSports. For example, the csgo coinflip sites reviewed by esportsbets24.com have received complaints from punters who missed opportunities or lost money because of freezes and lag time. Being x100 faster than 4G (meaning it would take approximately 3.6 seconds to download a movie), 5G promises to put an end to these problems for good. (1) It will enable higher resolution/VR games for the masses. Graphics have come a long way since the early days of gaming, but we haven’t seen anything yet. The faster the connections, the higher the resolution will be. This will likely lead to incredible advances and even more life-like experiences. (2) It will eliminate lag/latency and its associated problems. We covered some of the problems slow connections cause above. You can kiss these goodbye when 5G rolls out across the globe. If a movie can be downloaded in under four seconds, running games (even multiple games) will be a piece of cake. (3) It will eventually allow for gaming from virtually anywhere. City planners around the world are already debating and competing for ways to connect everything to 5G networks. Since 5G required no wires, could it be possible to participate in a LoL tournament from your local park using your VR headset and have a realistic chance of taking home a prize pot? If the last few decades has taught us anything, it’s that what seems like sci-fi quickly becomes reality. We’d say this is a certainty, although it may take awhile before the necessary infrastructure is in place. It’s estimated that 5G will really begin to roll out in 2020, and it’s knock-on effects are sure to be far-reaching. eSports will never be the same again, and mostly for the better. Can you think of any other implications of 5G for eSports? Let us know in the comments below.